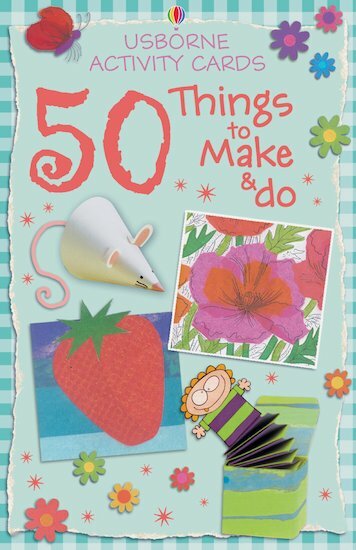 Creative activity cards for anyone who loves to get busy with pencils, paint, crayons, paper, wax, beads or even food! If you’re feeling arty or it’s tipping down outside, if you’ve got something to decorate or some spare time on your hands, these cool cards can help. Make pipe-cleaner snakes! Do a spooky painting! Draw wax resist houses! Make a tissue-paper owl! With so many cool craft ideas to try, you’ll never have a dull moment. Great for rainy days, you can just pick out a card and get making things!